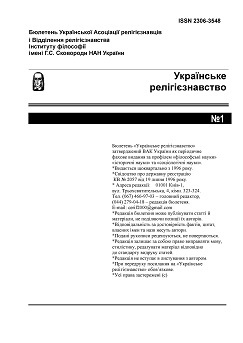 The term "Ukrainian Orthodox" I "has long been known to religious scholars. But in the sense of a special direction Orthodox "I, which has significant differences from other of its national forms in the ritual, religious, and even theological spheres, it is used relatively recently. It was introduced into the scientific circulation by I. Ogienko. Only the understanding of the Ukrainian Orthodox Church as a specific spiritual and cultural phenomenon is a prerequisite for the objective study of the Orthodox history in Ukraine and its role in preserving and developing national culture. It should be noted that by upholding the theory of a single progressive development of the "Russian" Orthodox Church, I from the X to the twentieth century, the theologians of the Russian Orthodox Church, and, together with them, secular scholars of the reign of the royal and Soviet times, inevitably came to reelection the facts. Conclusions, which are characteristic for a certain territory, they were presented as having an "all-Russian significance". One of the examples of this can be the statement of Soviet scholars that, following the decisions of the Stogolavy Sobor, "Russian painting more strictly obeys the church canons"